This was the second crew race of the Spring season, against an ancient rival, Buckingham Browne and Nichols (BB&N). BB&N is the usual winner of the "Cambridge Mayor's Cup", but this year, for only the second time, our CRLS boys team won the cup! This was a particularly sweet victory for Benjamin, whose freshman year second varsity boat was part of the previous win in 2011. According to the BB&N coach, this crew rivalry goes back to the 1880s, perhaps the oldest high school crew competition in the US, between the predecessor schools. 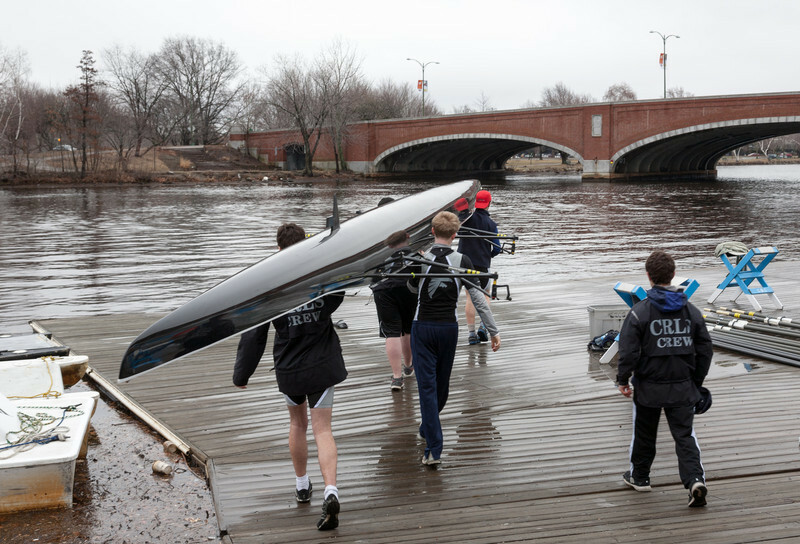 There was then a long gap between 1929, when the Cambridge public high schools dropped crew, until 2001, when the series was re-established.